are doing a blog hop! How fun! This is my first one! I am so excited to be a part of it! Every Friday in October, we will be posting freebies! Whoot! You know I love a good freebie! Who doesn't? 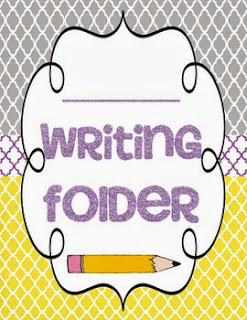 to go to my TPT store and get the freebie, I thought many of you are starting your writing workshop, so why not put out my Writing Folder cover! :( Sadly Miss Parker's blog does not continue with the hop as she hasn't posted.